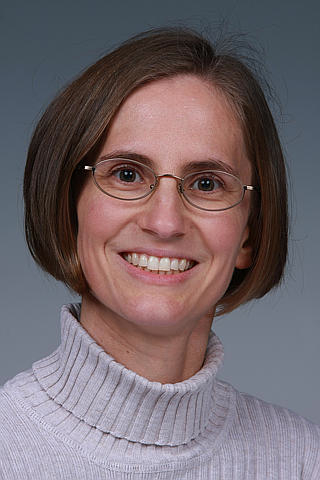 Congratulations to Dr. Tiffany Kaspar at Pacific Northwest National Laboratory on being selected to join the User Executive Committee at DOE's EMSL, a national scientific user facility. The committee is composed of scientists who are, or recently were, users of the resources at the facility. The committee members represent the needs and views of EMSL users to the facility's director, Dr. Allison Campbell. Kaspar is known for her materials research. Using EMSL resources, she studies the growth and properties of epitaxial thin films of novel oxides for energy applications. Her work includes the electronic, photoactive, and magnetic properties of doped binary and complex oxides. Further, she studies lattice-mismatched epitaxial metal films on oxide substrates for radiation damage studies. Her basic research in pulsed laser deposition of complex oxides is providing insights for solid oxide fuel cells. In the community, Kaspar works with her peers at AVS Science and Technology of Materials, Interfaces, and Processing. She has served as Chair of the Pacific Northwest Chapter, and currently serves as Secretary. Recently, she was honored by the American Physical Society for her excellent peer reviews for the Physical Review journals.